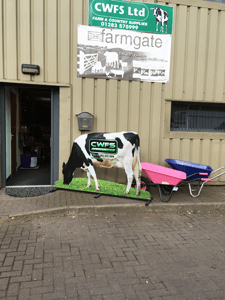 CWFS Limited is a friendly family business based at Lancaster Park, Newborough in Staffordshire, UK. We have been supplying agricultural, farm and country supplies and services since 1995. 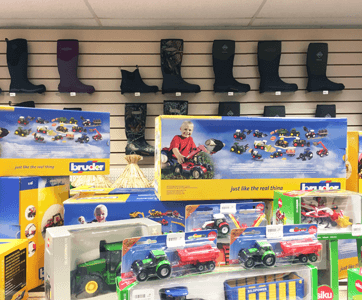 Find a fantastic range of agricultural clothing, workwear, footwear, and accessories in store and online. As a family run business we aim to be competitive on price, offer excellent quality products and top customer service. 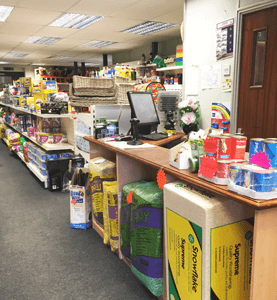 We offer all sorts of agricultural supplies from hardware, animal feeds, pet supplies, household supplies and so much more to help kit you out for country life. Our retail outlet at Lancaster Park opens 8am - 5pm Monday to Friday and 8am - 1pm on Saturdays. Our store is pet friendly and visitors can meet and greet our own two friendly dogs. We aim to please whether you are buying through the store or through the website - so if you have any questions please feel free to contact us. We are agricultural dairy engineers and provide a 24 hr call out breakdown service on all milking machines and bulk milk tanks. We cover Staffordshire, Derbyshire, Leicestershire, Stoke all surrounding areas. Contact us to find out more. 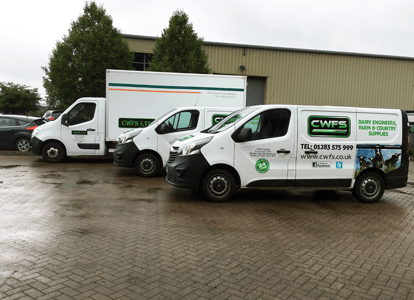 We also have our own CWFS Ltd sales van out on the road which covers a 35 mile radius on the surrounding areas from Lancaster Park, Newborough. This is a monthly service we run for our local customers to bring a variety of farm and agricultural supplies directly to your door. 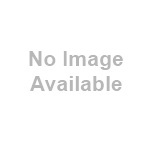 The van supplies dairy cleaning chemicals, animal sundries, household, workwear, hardware products etc. If you have any questions about our services or supplies feel free to get in touch.